than it has been at anytime in the previous 1,000 years." Related? measurement of our star's activity. 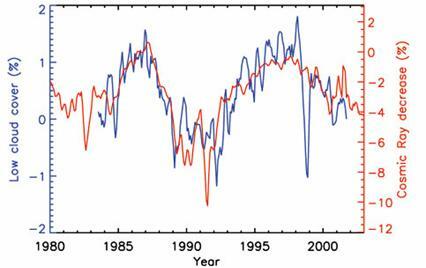 Sun's 11-year cycle of activity as well as other, longer-term changes. 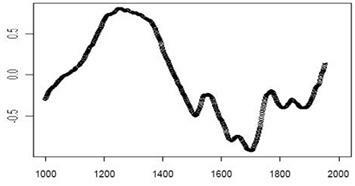 1645 and 1715, few sunspots were seen on the Sun's surface. English astronomer who studied it. during the past 60 years. 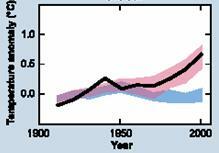 past century, just at the time when the Earth has been getting warmer. 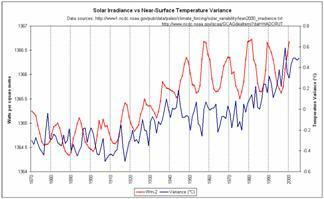 influencing in some way the global climate causing the world to get warmer. 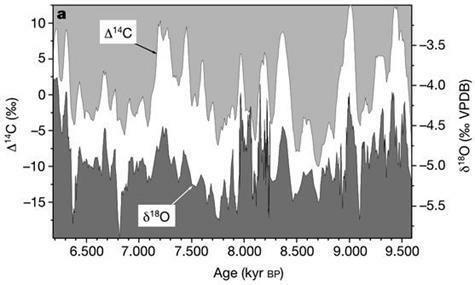 over-emphasize the Medieval Warm Period, I still think such a period existed). be expected to heat the Earth by .06%. 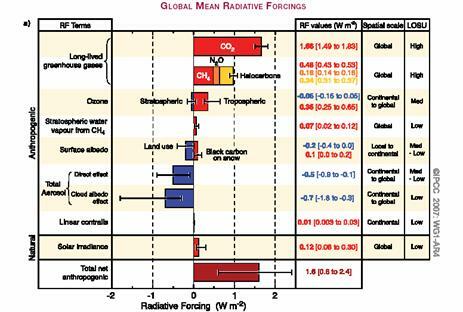 of the IPCC value of +0,3 Wm"“2 quoted earlier. the Sun might control variations in the brightness of Neptune. 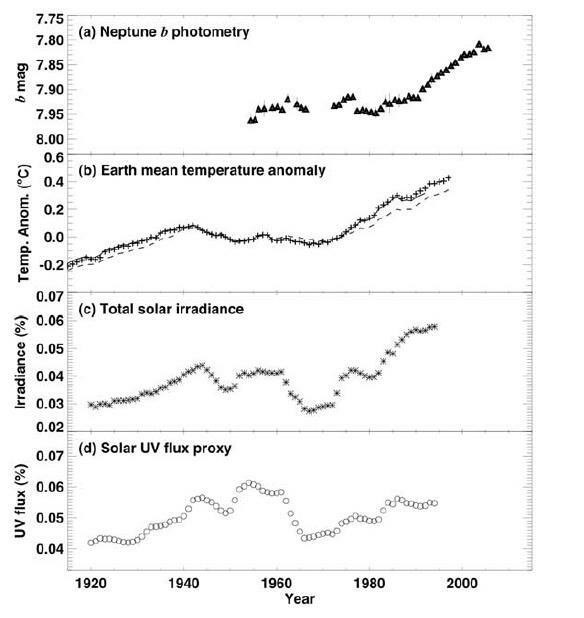 from the Sun (Source: Hammel and Lockwood (2007)). adjust to any changes in solar output. 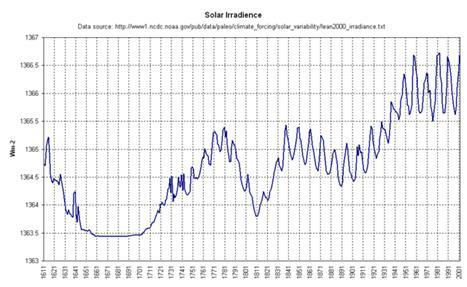 of solar effects on planetary atmospheres." variance and climate change here. off by blocking out and reflecting the sun's energy. clouds, in turn cooling things back off. 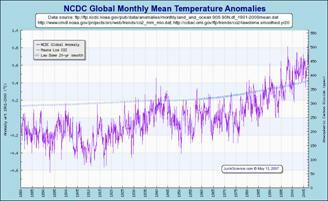 really a measurable driver of climate? extended and refined by Shiva in 2005.